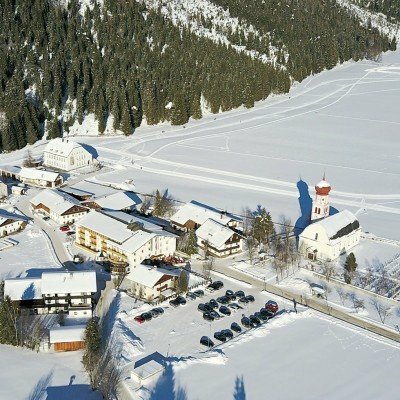 Leutasch is truly a winter wonderland - its high level plateau and tranquil valley provide some of the prettiest and most extensive cross-country skiing and walking trails in Europe. The Winter Olympics have been held here twice! Leutasch also offers horse-drawn sleigh rides, tobogganing, curling, ice skating, snowshoeing and alpine skiing. Our experienced Headwater Leader, Steve Barrington, provides various skiing weeks during the winter months, aimed at different abilities. This includes weeks solely for beginner skiers, an intermediate skiing week and weeks for groups of mixed ability skiers. (Please see 'other details' in Dates and Prices). There's plenty of skiing here for all levels, with gentle plateau trails, peaceful valley runs and more challenging routes on the wooded hillsides offering stunning valley views. There's clear signposting and an excellent free trail map available if you feel like doing your own thing, along with superb downhill skiing in Seefeld, just 10 minutes away. You stay in the heart of the Leutasch Valley, with doorstep access to the very best walking and skiing. Our luxury and family run **** Hotel Xander, the oldest inn in the valley, is tucked away next to the onion-domed village church, and has been sensitively modernised to incorporate all the luxuries you would expect of a high-class hotel. The huge bedrooms feel more like apartments, complete with your own lounge area, while the bathrooms have both a bath and a shower. The hotel offers a heated indoor swimming pool, two saunas, steam bath, fitness studio and boot room. A whirlpool bath and solarium are also available at additional cost (payable locally), as are beauty treatments and massages should you wish to spoil yourself. We meet you at Innsbruck Airport for the short drive to Leutasch (40 mins). We'll kit you out with your skis, poles, passes, etc, in the afternoon. Depending on which week you have chosen (beginner, intermediate or mixed ability skiing), the local snow conditions and group ability, your leader will soon have you skiing up and down the beautiful Leutasch Valley. You'll head towards Scharnitz by the German border, or up to the Olympic village of Seefeld, discovering a number of the surrounding Tyrolean villages. In the afternoons you have the option to stay and explore, or to head back to the hotel in time for a fine spread of afternoon snacks, coffee and cake. We have left one day free for you to explore independently or to try one of the many other activities available locally. We take you to the airport in time to connect with your flight home. During your holiday you stay at the following hotels. If you'd like to extend your time at any of these or, if you'd like to enhance your stay with an upgraded room, just let us know at the time of booking. Find out more on the hotel website. Read customer reviews on Tripadvisor. Kirchplatzl is at the heart of the Leutasch valley, with doorstep access to some of the best skiing and walking in the area. Tucked away next door to the onion-domed village church is the Hotel Xander, owned by the Ennemoser family. The oldest inn in the valley, it has been sensitively modernised to incorporate all the luxuries you would expect of a four star establishment. The bedrooms are large with sofa, easy chair and bathroom with bath and shower, and hairdryers are also available. Satellite tv (CNN but not BBC) is also available. Please note that twin rooms at the Hotel Xander are 2 single beds pushed together. Room upgrades: West Wing (Gaistal) Room, Junior Suite or Suite. West wing (Gaistal) rooms are 30m2 have a balcony and valley views. Junior Suites are 2 room apartments (50m2 with balcony). Suites are 3 room apartments (either 70m2 with balcony or 80m2 without balcony). The Hotel Hubertushof is the Headwater alternative 4* hotel in the Leutasch area. The hotel is owned and run by the affable Pfeffel family who are keen for you to have the very best of stays. Located at 1130m above sea level, the Hotel Hubertushof sits prettily on the Seefeld Plateau, surrounded by snow covered pastures with the Wetterstein and Karwendel Mountains looming overhead. Headwater customers are allocated the Hubertus bedrooms, which are comfortable and spacious, with either bath or shower, and come with mountain views and balcony as well as all the facilities you would expect from a four star hotel. Transfers will be arranged from Innsbruck airport, Innsbruck station or an Innsbruck hotel as required, at no additional charge. Transfers are based on 2 passengers traveling. Please call our sales team on 1-800-267-3347 or email usa@exodustravels.com to arrange connecting flights. Everyone who goes on a Headwater holiday will be emailed a link to our post-holiday questionnaire where they can give us an honest assessment of all aspects of their holiday - everything from how quickly we answer the phone to how clean the hotels were - plus an overall rating and comments about their holiday. Any feedback collected is posted to our website, so that people can make an informed decision based on past experiences before heading off on holiday. We don’t edit the reviews, the only thing we do is proofread them and alter any typos, where necessary, to ensure they are easy to read for everyone. All reviews will be published (except in certain extreme circumstances), and a member of the Headwater team will respond to any constructive criticisms/comments under the reviews, at their discretion. So, for the real tales, twists and turns of our holidays, look no further than the reviews from our previous travellers. Excellent area for ski track holiday. Huge mileage of tracks at different grades which caters for all abilities. Good leadership which maintained the interest of a multi skilled skiing group and coped with weather. Steve, our guide, was excellent at judging ability (or lack of!!) in our group and patiently coaching us. He took time with everybody to give us all tips on the ski technique as well as ensuring we skied as much of the ski area as we could over the week and catering for those who wished to do their own thing. Really helpful with good tips for our day off. I would recommend summer attire for the evenings at Hotel Xander as they do keep it hot! Our 5th skiing visit to Leutasch and Hotel Xander. Generally excellent hotel, good food and spacious rooms. Plenty of skiing trails and always good advice, teaching and support from the excellent rep, Steve Barrington. Great holiday made even greater by our excellent guide Mark. He gave many useful tips and was very patient. Great hotel in a beautiful location with plenty of Loipe within close vicinity. Suits anyone with basic or intermediate cross country skiing skills although novices are accommodated as well. It is an active holiday in beautiful surroundings, with an excellent rep who makes sure everybody enjoys themselves. Steve Barrington is a fantastic tour guide. He manages to give everyone a great time even when there are mixed abilities in the group. Hotel Xander is great for location. The rooms are comfortable and clean and the spa facilities are excellent. We have stayed there many times and feel the quality of food and restaurant service was of as good as on previous holidays. One of our party asked for coffee in the bar at 8.30pm and was told that was not possible although we have been served after dinner coffee in previous years. This was unexpected. Overall however, we had a fantastic holiday and would book to go to the same resort again. The Leutasch is a very good area for all levels of cross-country skiing, with well-marked loipes pretty much on the doorstep of the hotel. There is a regular bus service outside the hotel if you choose to 'do your own thing' at any point during your holiday - either skiing or using the well marked walking routes. The scenery is beautiful and there is a plentiful supply of Restaurants/bars either on the loipes or just nearby. hope with the merger you will be able to keep your good attention to detail and excellent personal service! I was pleased to read that this holiday was everything that you needed. Thank you for your kind comments regarding the excellent personal service you received. I do hope that we will be able to welcome you back to enjoying another holiday in the not too distant future. Go XC Skiing in Leutasch and and let Headwater's leader get the most out of your holiday for you - no matter what your level of competence is. Leutasch/Seefeld is a wonderful area for cross country skiing set in a beautiful valley surrounded by high mountains. And when we've been there the weather has generally been good. Very scenic location with good variety of trails. Warm & friendly hotel with great sauna & steam room. A most enjoyable skiing week. Steve managed the large group of mixed abilities very well. Excellent hotel. Great food, comfortable, spotless. Couldn't have had a warmer welcome. Wonderful staff. Probably not the right place if you are looking for a party. Excellent experience. The guide (James) had great local knowledge of walks and cross country tracks suitable for our ability. 1.1 tuition for cross country skiing techniques to ski effectively and safely. We booked the combined cross-country skiing and winter walking holiday because we were skiing novices and didn’t know how we would get on, so wanted to have a go at skiing but with the option of walking for some of the time. However, the holiday would have better been described as cross-country skiing (with a strong focus on those who could already ski) and self-guided walking for those who did not want to ski. Of the seven on the holiday, three had skied before and there were four novices. We all went out together on the first day, but the combination of abilities was going to be difficult for James to manage, so we novices were booked into ski school while he went out with the more experienced group. Three of the four novices subsequently opted to walk rather than ski but, although James was happy to suggest walking routes and drop us at the start point, there were no guided walks. We did enjoy the holiday, as the scenery was fabulous and the hotel and food were excellent, but we feel that we would have been better going on a beginner’s cross-country skiing week, as self-guided walking would still have been possible if one of us did not enjoy the skiing. 1.This is an area I would happily revisit for for a few days, perhaps at the start or end of the season, but the skiing is limited for anyone other than beginners There are a few red runs which can be accessed easily ; but apart from these the choice lies between going round and round blue loipes or tackling the terrifying blacks . Fabulous introduction to cross-country skiing in Leutasch, with excellent instruction from our guide James. His knowledge of the area and each of the individual trails meant that we were able to experience a variety of routes, saving the best to last - leaving us all with great memories of the week. The hotel was always warm and welcoming, lovely to relax in the sauna/steam room after a day out in the snow and you could never go hungry at the Hotel Xander!! The holiday was a complete break from routine. Healthy, outdoor and learning a new skill. The scenery was breath taking, the tour leader competent, organised, with patience and a deft touch in joining the group humour. The group itself could not have got on or jelled better which is a large part of what makes this kind of holiday work. Austrian Airlines were of the highest quality; the hotel was comfortable, efficiently run and with truly excellent food. To enjoy the holiday you do need a modestly good level of fitness a willingness to fall over not necessarily with dignity in tact! The holiday exceeded our expectations and we’d highly recommend it. My wife and I are now in our sixties. We were beginners to cross country skiing. We arrived with some trepidation about the week ahead but on meeting James our guide, any initial fears were dispelled as we could tell from the outset that he was committed to making our holiday experience both enjoyable and rewarding. We were not disappointed. The location of the accommodation to the loipes was excellent and the use of a mini bus throughout the week to transport us to new locations was invaluable. The process of hiring skis, poles, boots and passes was effortless and straight forward. From day 1 James was there to advise and guide. At the end of the week we both felt that we had progressed well and will certainly return to partake in this type of holiday again. A great week in excellent company which was so enjoyable and fulfilling. We feel that we have made a lot of progress with our cross-country skiing this year due to the excellent teaching of your rep. So many of the locations were stunning due to the massive amounts of snow. The hotel was cosy with plentiful supplies of food. A fabulous holiday. We will be back. We didn't really know quite what to expect in Leutasch as beginners to the sport, but we had a wonderful (if tiring!) week cross-country skiing. James was great, very flexible in the itinerary and timings and as the only 2 people booked during the Feb half term week, we had our own private guide! The location is beautiful and quiet but with enough trails to keep the interest. The hotel is exceptionally clean and (very) warm if a little old fashioned in parts, but no complaints on the food which was fresh, plentiful with lots of choice. The hotel even offered us a packed breakfast as we were leaving to drive home early - nice touch. Would we do the week again - yes, most definitely! Very well organised trip that we much enjoyed despite a wrist fracture to one of us due to a fall while skiing. We will probably return to the same place next year. We had a fantastic week skiing. hotel Xander was excellent in every way, especially the food. James our rep looked after us and made the holiday the best we have had for a while. He quickly understood everyone’s levels and taught us new skills so that we were quickly attempting red runs (slowly!) something we have never done before. He took us to different places each day and we really felt we had done everything we could have including a walk into Germany and a circular walk around the forests on our last morning. 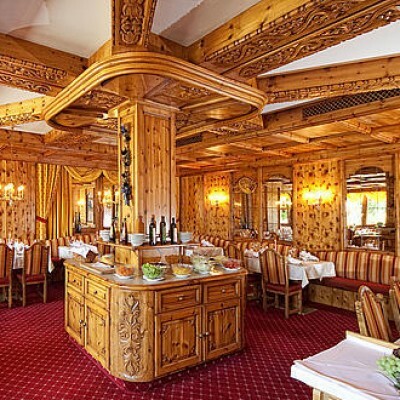 Very comfortable hotel, good food, set in an extensive xc ski area, which provides the perfect base for a skiing holiday. The provision of a mini bus and guide makes it easy to find the best snow on any given day. The pool and spa area gives a relaxing environment in which to unwind. Thoroughly enjoyed all aspects of the holiday, everything went like clock work. Great rep, friendly, helpful and a good ski instructor. Lovely hotel - almost too much, quality food and the snow conditions were perfect. The food at the Xander remains good, however at times the waiting staff seemed stretched. Great flexibility of winter activities, as I wanted to try cross country skiing, without being committed to it. I joined the winter walking group which I really enjoyed. Steve and Martin are excellent, very helpful and knowledgeable guides. They both know the area very well. Despite less snow than in previous years, Steve was very accommodating in where we skied and adapted his plans for the day depending on the snow conditions when needed so overall I had an excellent skiing week. Steve is a patient teacher and I improved again this year! Martin knows the area very well and provided excellent walks every day for my wife who was on a walking week. The hotel is very well situated, rooms are very spacious, the hotel is always very clean and the food is good particularly the buffet breakfasts and buffet salad bar in the evenings. There is a reasonable choice of meals in the evening and there is always a fish or vegetarian option. For those who get back early, the hotel also provides drinks, cakes or a hot meal between 2 and 4! Good venue, dedicated leader who was v. Flexible & ensured we all got the maximum from the holiday. Meals were not as a group so possibly better for couples than singles, although Steve worked hard to ensure everyone's needs were met. Hotel restaurant staff & bar v. busy and somewhat inflexible possibly as a result. Another very enjoyable holiday x c skiing in the Leutasch area. Steve's knowledge and experience of the area and his dedication as a guide enabled us to get the most out of our week. As we had a late afternoon flight home we opted to walk on the morning of our return, rather than ski, and this was a perfect end to a very good week. We have booked this holiday (Skiing in Leutasch) several times in recent years, and would thoroughly recommend it. Steve Barrington is an excellent rep and ski coach and went out of his way to ensure that we enjoyed ourselves. This year, there was no snow when we arrived (30 December) but the authorities had laid about 5 miles of track using artificial snow and this kept us busy most of the day. Steve then took us for a walk after afternoon tea, which meant that we saw parts of the beautiful valley that we had not visited before, including a gorge that is not normally open in winter. It snowed in the middle of the week and more tracks opened, and Steve worked very hard to find us suitable routes. The only disappointment is that one of the tracks near the hotel has been re-routed over a hill which was too difficult for us and clearly would be beyond a beginner. That meant a long walk before we could ski down the valley rather than a short walk from the hotel. One week's cross-country skiing in Leutasch, Austria. Magical setting which prolonged the traditional White Christmas experience. Great tuition and guided skiing in stunning countryside. A great holiday with an excellent guide and hotel in a very scenic area. Sue and I had never tried Nordic skiing before, but with Steve the ever helpful guide providing tips along the way and his encyclopaedic knowledge of the valley and the loipes around the area, we are sure to try it again. The Xander provides comfortable rooms, but out does itself at meal times. The breakfast, afternoon tea and dinner, in reality constitute full board. All that is 'required' is the occasional hot chocolate to warm up mid ski. A spectacular valley, and an active holiday that can be as hard or easy physically as you wish, and all the while Steve will facilitate mixed groups with ease and plenty of laughter along the way. Thoroughly enjoyable XC skiing in a stunning mountainous location and at the end of every day a very comfortable hotel awaited us. Martin was an excellent guide very knowledgeable and enthusiastic. The walks he planned were varied and suited to the days weather. Another very good cross country skiing holiday here during February with good snow conditions. Steve's expertise and his skill in organising a group with varying abilities is amazing - a very enjoyable week. Enjoyable. Very good location (as long as lots of snow). Very good guide, learnt a lot and all in group improved a great deal by end of week. Mini bus a complete bonus. Small groups. Distance from airport to location less than an hour. Beautiful location with lots of varied loipes at different levels of difficulty. The Xander Sporthotel was very comfortable with good facilities (especially pool area and spa treatments) and location. It's a pity there wasn't a lounge area to relax in after dinner. Vegetarian main courses were rather bizzare, but at buffet meals there was plenty of choice. The afternoon tea was generous, varied and very welcome. Steve Barrington coped well with a very mixed ability group, making sound suggestions for routes and rendez-vous with lovely coffee stops. The minibus service he included provided flexibility for different abilities and energy levels. The option of XC Ski School was very helpful. A fantastic week learning to cross country ski. Our rep, Steve, made it all completely effortless - getting us to and from the resort, teaching us how to ski, making sure we were always well-fed and watered and ensuring we got to the best snow every day - could not fault it. This was my fifth visit to Leutasch to enjoy cross country ski ing. Steve, the Headwater representative, is very professional, friendly and excellent at assessing the skill levels of individuals and ensuring that the day's activities are planned to meet all needs. Thoroughly recommend this holiday. The Leutasch Valley is a brilliant base for xc skiing - and Hotel Xander in Kirchplatzl, enabled skiing almost direct from the door. Steve our guide and mentor was brilliant in his teaching and giving help and advice and managed always to pop up just at the right place if we ever had a query. (Haven't a clue how he always achieved that - although he knows the area so well and is a much better map reader than I!) The hotel is lovely and quiet, although the bulk and volume of food was enough to sink a battleship. And the staff could have done with a crash course at a charm school to learn to smile a little more! Shame there was no lounge area to enable you to chill out in, read a book or have a cuppa - I generally went back to my room after supper on account of this and if you're on your own, this did make it a little flat. You don't always want to hang out in the bar. And since there were no local facilities to visit without a 30 min yomp, you did need a good supply of books and your room fridge well stocked! Go for the Stempel stamp collecting system - gives a real target to clock up the km! It was a magical week. The location of the hotel and it's facilities was perfect. I really appreciated the welcoming and informal atmosphere. Our cross-country skiing adventure was very versatile. We were faced with different challenges every day. Our instructor and guide was always on hand to help and encourage us. He filled us in on local historical and geographical facts and his sense of humour and vivid anecdotes made for a very entertaining week. The beautiful winter landscape made my dream come true! Brilliant holiday thanks to Steve who made sure we were all really well looked after, no matter what our abilities or fitness. I definitely recommend this beginners week for anyone venturing into cross-country skiing for the first time. The itinerary was flexible, enabling Steve to select the location according to the weather conditions & our abilities. Had it not been for Steve, I suspect we would have been going round & round the local loipe and would have missed out on much of this beautiful area. We had absolute confidence in his judgement of what we could safely tackle. He was able to push us just beyond our comfort zone, enabling us to progress further than we would have done with a few 2 hour sessions in ski school. Guests from another company were clearly envious of our experience & may well be future clients of Headwater. The hotel was very comfortable & had a great wellness centre - as long as you don't mind doing saunas the European way. The food was plentiful & mostly very good. The service was variable but amiable. - Above all - Steve's guiding and extensive knowledge of the area adds tremendous value. - This why we have returned for the last 5 years and why we are planning to return. Steve,the resort host, couldn't do enough for the group during the week, always making sure that clients had skiing applicable to their abilities (from beginners to seasoned skiers). Even on his day off, he showed up at the hotel in the morning and ferried 4 of us to another village, rather than have us catch the bus. The skiing was good and we were blessed with good conditions. Trail preparation was also good, with only 2 tracks remaining closed all week. However, the area overstates how many kilometres of trails there actually are, counting shared classic and skating runs twice. The Xander is a pleasant, not overly large hotel with good, if sometimes busy, facilities. It is somewhat remote, being in a small hamlet, but because of this, it is very quiet, with no nighttime noise. The normal rooms were huge, bordering on suite size. The food was good and plentiful (afternoon 'tea' was a real bonus) with most courses being buffet style. It is as well to have some supplies in your room if like a night cap, as the bar closes if there are no customers around (we returned from a post dinner walk to find the bar closed by 9:30). With the blessedly short transfer from Innsbruck (less than an hour) and the early flight, our room was not ready on arrival, as were others. Given that this is the time that Headwater clients always arrive, I would have thought that the hotel would make sure that clients were ready to be shown their rooms upon arrival. A very good holiday with an excellent rep. We expect to return next year. This was our first time cross-country skiing and we are totally hooked. This is due to the beautiful location; perfect snow, and the excellent instruction that we received. We appreciated the flexibility Steve offered in our itinerary. Great area for xcroutry sking with good variety of terrain and routes. Would have been happy with more rustic accommodation with log fire in a communal area and less food would have been fine! Extensive area for cross country skiing with good walking options when snow condition poor. Knowledgeable, enthusiastic and helpful local representative. great holiday in a very beautiful place. Hotel meet all expectations with wonderful views, food and staff. Steve took great care of us all adapting to our ever changing needs and helping to accommodate a party with very different needs and abilities. it all added up to a fantastic holiday. thank you to all who made it happen. Steve, Steve, Steve...was brillant...his coaching was very relaxed and got the group finding their 'ski feet' quickly. I had done some downhill skiing in my youth but never expected to xc ski so far and in so many different areas during the week! We must have done most of the blue routes in the valley and beyond with the added benefit of the use of Steve's minibus. I'm definitly hooked...wish I'd tried xc skiing years ago! Although there was insufficient snow for any real skiing we still had a fantastic holiday. Steve organised great walks with options for everyone. He is an excellent guide. The spa at the hotel was an additional treat. We had a fabulous holiday. There were only two of us on the holiday and Steve was amazing! My wife hadn't done x-country skiing before but Steve made sure she was very competent within a few days and we couldn't have asked for or received more attention. The hotel was your 'alternative' hotel. I have stayed at the Zander twice before and was a little apprehensive. However the Hubertishof was excellent. All the staff were very attentive and friendly. The food was superb, particularly the dinners in the evening. The swimming pool, sauna and steam room were spotless and easily accessible. The hotel was a little way out of town but there was a bus stop nearby and the town was 8 minutes away. The hotel had a sister hotel in town where we could take tea in the afternoon at no extra cost and if we missed the bus they would offer us a free transfer. We gave the hotel a top rating on Trip Adviser. The ski trails were outside the hotel door and it was easy to skip back to the hotel in the late afternoon from town. Overall I thought the hotel better than the Zander. A very enjoyable Xmas break. Great location, guides, hotel, and weather! There was no natural snow in the resort, but enough man-made snow was put down to ensure some x-country skiing in the mornings. In the afternoons, we went for extremely pleasant walks along the many sign-posted trails. Steve is an excellent guide and very accommodating. Leutasch is a beautiful area to ski, walk and relax in. Steve made the holiday special. With welcome good humour he made everything but everything work: travel to and from airport, managing the varied abilities of skiers, being available for any problems and proving excellent company. Steve is worth every penny for Headwater. I have been on many cross-country skiing holidays & consider that this one has been the best to date. Leutasch is an excellent location & I enjoyed my stay at the Hotel Xander. The food & facilities there were very good. The snow conditions were ideal & we had a great leader - Steve is the font of all knowledge regarding the trails in the area & provided a high degree of support for the group. I particularly liked the way in which he managed to accommodate the different levels within the party, plus the use of a minibus was an added bonus as it beats waiting around for public transport at the end of the day if you were not skiing back to the hotel. This is the first holiday I've been on where the leader had a minibus. Well planned and executed holidays. Headwater take the hassle out of arranging holidays, so that you can have more fun. Third consecutive year in Leutasch and pleased to find Steve continues to guide this holiday. He is so encouraging and helpful whatever the ability group, and this plays such a huge part in the success of the holiday. We were very fortunate with the weather for our week, the sun shone every day and the snow conditions good. We chose to walk on our 'free day' and thoroughly enjoyed the route - easily following the walking signs. The hotel offers good accommodation with excellent food. The staff are welcoming and efficient and the Gala Dinner was good fun. We had another great week in the Leutasch. The Headwater rep,Steve, is a tremendous ambassador for Headwater.. He really goes out of his way to ensure that everyone, no matter what their level of ability, gets the most out of their holiday. His knowledge of the ski terrain and how to adapt the day's schedule to the weather conditions really makes the most of the time available. My wife managed to get her Gold Badge this year due in no small degree to Steve's recommended routes for each day (as well as her own efforts of course!). The Hotel food was back up to its previous good standard this year and their Gala evening in 1920s style was great fun and a big success. We are already looking forward to our next ( and 6th ) holiday in the Leutasch. This was our second time on this holiday and it completely lived up to our expectations. Hotel and area great. Steve an excellent host, catered well for a mixed ability group. He went out of his way to help all of us. We had a fabulous cross-country skiing holiday in Leutasch. Everything was perfect - which is what we expect from Headwater. The location of the hotel and the quality of service and food were superb. Steve Barrington our instructor was faultless and nothing was too much trouble. He spent so much time with me trying to perfect my basic skiing technique. His humour and patience deserve a medal. A perfect holiday in a perfect location. Another fabulous holiday - with nothing being a problem. From the helpfulness of the office team when we changed our booking through to lack of snow in Dobbiaco, through to the great week of skiing with Steve in Leutasch. Steve is a master juggler ensuring everyone's skiing levels were accounted for & also a great guide. The quality of the food at The Xander has improved & is of a high standard with plenty of choice & variety. The snow conditions were fab & there was plenty of blue skies & sunshine. Another great week of skiing - a very big thank you to Steve for an enjoyable & memorable week - already planning our return for next winter. A sociable holiday. Great guides. Lovely way to experience the country. Well worth getting fit over several months prior to holiday as this will ease you in and avoid physical strains. I would recommend this holiday to anyone who likes exercising outdoors, followed by comfort and LOTS of food. Spent a long time looking at reviews for similar holidays, and I feel I made the right choice- I was not disappointed. Great fun even though a beginner,great group of people,hotel was perfect,and the food was top notch. Steve's guiding and tuition in cross country skiing made the holiday. Cross country skiing is very energetic and requires balance. We had thought we were quite fit! We went to two mornings langlauf school to start, it was very useful. Thank you Steve for a fantastic week . Leutasch is beautiful. One of the best holidays we have been on. Food was delicious, and Xander very comfortable. Would definitely go back. The winter walks were also beautiful. Short transfer time was good too. We had a fantastic skiing holiday at Leutasch, returning to the same destination for the seventh time. The trails are excellent and we like the fact that you can get straight onto the snow from the door of the hotel. It is great to have access to the spa facilities at Hotel Xander to relax after a full day's skiing and Steve is an excellent tour leader. In fact he is one of the main reasons we return to the same place each year. Just keep giving us more of the same. The holiday was an enjoyable cross country skiing experience. The holiday area provides varied challenges and much enjoyment for people of all levels of track cross country skiing ability. Steve Barrington provides excellent leadership and support to each and every person in the group, whatever their capabilities, without favour. Our Leader Steve was excellent - friendly and knowledgeable and made sure everyone had a great holiday even though we were at different levels and had different needs. The hotel was brilliantly located and you could ski from the door.The bus stop is a few steps from the hotel reception too, so you couldn't be better located. The hotel has huge buffets and a complimentary 'afternoon tea' which is more like a late lunch - a vast tureen of soup, bread, salad, pasta and several types of cakes. Dinners involve several courses - some of which are a little variable in quality, but there is choice. The traditional Austrian food is done very well (eg roast meats, trout and almonds, wiener schntizel) but some of the others eg sushi or blackberry juice with a yellow pepper skewer - were not quite as succesful. Amazing cheeseboards - as good as France. Only gripes - the hotel charges for tap water which we questioned since it, well comes out of a tap and should therefore be free? The hotel, unusual for a 4 Star establishment, also charges for its Wifi - which in most hotels nowadays is free. The Wifi is exceptionally slow - found it could tkae 1/2 hr to send an email. Especially annoying as you are having to pay for it. Otherwise, an absolutely lovely hotel and recommended. Very good holiday. Very lucky with the amount of snow having changed resorts. The service from some of the waiters, waitresses and receptionist could have been more polite. They were very rude at times. We were the customers, although it wasn't always obvious. We had never skied before so this was a real adventure and we were not disappointed. We had a fabulous time and loved that we could ski in the morning and after lunch we were able to go for a walk along one of the many well marked routes. We are already thinking g about doing it again next hear. Steve was an excellent guide and teacher - so patient. The snow was fantastic, hotel comfy, food excellent. Headwater staff were very helpful and accommodating when I made last minute change from Dobbiaco to Leutasch (3/4 weeks before departure) due to lack of snow in Italy. This was our second cross country skiing holiday at the Xander Hotel and we had a great time again. Thankfully it snowed just before we arrived and the conditions were very good. Steve looked after us fantastically again and our skiing is improving under his guidance. The Xander Hotel maintains its high standards and the food was excellent. Slight criticisms would be the lack of a bar area to relax in after dining in the evening, the cold swimming pool and the off putting no swimming costume policy in the spa and sauna! However these are minor quibbles, overall we had a great holiday and hope to be back again one day. We had an excellent holiday. Steve our guide was brilliant. He very quickly gauged the different abilities of the group, and ensured that we all got what we wanted / needed from the holiday. Didn't really want to leave, can't wait to go back! This was a brilliant holiday! Steve did a great job of assessing our abilities and catering to all our skiing needs. The food at the hotel was fantastic and should be described as 'full-board' due to the afternoon tea being way more than just tea and cake! This was a prefect place for XC skiing and with so many different runs available it is suitable for all levels of skier. We has never skied before but by the end of the week we were on the black runs! Dear Mr Brodd, Thank you for taking the time to complete your post-holiday questionnaire feedback. We were pleased to see that Steve took good care of you and that you managed to ski black runs by the end of the week, that was great progress! I have passed on your feedback to Steve and the Hotelier at the Xander, they were both delighted to receive your positive comments. We would like to thank you for travelling with Headwater this winter and look forward to welcoming you on another of our holidays in the future. We have been skiing in Leutasch on several occasions, so it must be good! We were lucky with the snow, and enjoyed every day out on the runs. Steve Barrington is excellent and could not be more helpful and worked hard to ensure that all members of the party had good, suitable days out. This often involved difficult logistical problems of driving people to different locations and classes. We do not understand why Headwater do not have such reps in other locations. The food at the Hotel Xander has returned to the high standard that we had come to expect but which did fall last year. We understand that a former chef had returned. It was well worth arranging the day around the afternoon cakes! The staff too were good. Thank you all, especially Steve. It was a brilliant experience. We arrived to find no snow in Leutasch and little prospect of cross-country skiing at Christmas for the first time in ten years. Our Headwater guide Steve did a brilliant job in taking us walking for two days, understanding our abilities and that we liked a bit of a challenge and then finding us man-made Loipen in Leutasch and Seefeld. It snowed on our penultimate day (Christmas Day) and Steve introduced us to the joys of getting into, across and down virgin snow covered fields and slopes. The Hotel Xander is an excellent 'off the beaten track' location and a wonderful place to spend Christmas. We would like to come back! Dear Mr James, Thank you for taking the time to complete your post holiday questionnaire and for the feedback you have provided. It was great to see that the snow eventually fell and you were able to enjoy the cross country skiing and winter walking.I have passed your comments on to Steve and Christine, they were delighted to hear your lovely feedback.They do work really hard to ensure our customers have the best holiday possible, with or without the snow! Very good holiday. Second year cross-country skiing in same resort - complete beginners last year. With thanks to Steve's excellent tuition and patience last year have been able to further improve this year, once again with Steve at the helm! Definitely an activity holiday and if you are with a keen fit group it is hard work a nd a good level of fitness is required. It is hard for the guide to cater for mixed ability clients. Steve Barington is an exceptionally nice chap. He went out of his way to see that we got the most from our holiday and even gave up some of his day off. He couldn't have been more helpful in ferrying us around and guiding us. From what we saw of Chrisie she was equally nice. The girls at reception at Hotel Xander were helpful The waitresses, who were mainly Hungarian, were both good and fun. Breakfasts were fine but the evening meals were disappointing. The menus were OK but the quality of the cooking was not great. The afternoon cakes and tarts were a great disappointment.--- Not up to Austrian standard! It was difficult to obtain a drink if one returned to the hotel between 1 and 2pm. The cleaning of our room was substandard. The bath was only cleaned once during the week and bars of soap were not replaced. We had sunny weather and an excellent holiday due in mainly to Steve's input. Another fantastic well run xc skiing holiday by Steve. Steve is an outstanding guide whose knowledge of the snow conditions and selection of trails made the very best of tricky weather conditions. He has an uncanny knack of balancing the needs of the group, and each individual - we chose to take up the challenge of the 'xc badge ' and with the help of Steve's knowledge of the area, he helped us achieve a Silver Badge. We intend to book next year and go for Gold! Headwater are a very good company to deal with, they are professional and efficient. This is our fifth consecutive holiday at this destination and we think it was the best. Steve Barrington is an excellent Rep/Tour Leader and - as I've said before, has the unique ability to ensure each and every person has the best holiday possible. We felt the quality of cuisine at Hotel Xander was not as good as other years but the overall comfort and condition of the facilities was as good as ever. We would definitely consider booking the same holiday again. Excellent. The guide/rep Steve Barrington was fantastic. His communication and teaching skills are magnificent. I would recommend anyone to go with Headwater if they could be assured that their rep was anywhere near the level of professionalism demonstrated by Steve. no faults , except very disappointing snow conditions , so I would probably not book so far ahead should I choose to repeat this type of holiday . We thoroughly ejoyed our second holiday with Headwater at the Hotel Xander in the Leutasch Valley. It was lovely to be recognised and remembered by the hotel staff. The New Year's Eve Gala Dinner was excellent and the standard of food and service was once again superb. It was our first time cross country skiing and with the help, guidance and patience of Steve we were soon up and running and hope to return next year to improve further. Our holiday reps the Barringtons were superb. By the end of the holiday they were like friends who cannot do enough for you. This was our second time to Leutasch and the Xander Hotel and we weren't disappointed. Excellent food and service. The snow conditions weren't ideal but Steve Barrington with his usual enthusiasm found us descent locations every day so we able to ski. Thoroughly enjoyed the holiday which was an great way to unwind after a hectic Christmas and New Year. Sporthotel Xander is an excellent base for cross country skiing for people of all abilities. The local rep Steve Barrington is an interesting character and very proficient at guiding beginners taking there first steps, encouraging intermediates to progress and advising on routes for the more advanced. Definitely a place to visit at least once in your skiing career! Leutasch is an excellent Cross Country Ski area with also scope for beautiful and easy walking. The Hotel Xander has a very good location for the ski trails and walks and is served by a good bus system. It is located in a quiet village which suited us but might be too quiet for some. The guides were extremely helpful and were a major contribution to our enjoyment of the holiday. Overall the holiday delivered a good level of comfort with regards the hotel especially as it was a Christmas break. The locality was excellent for x-skiing. The arrangements for guests to take lessons at the local ski school was of great benefit to myself and contributed to the enjoyment of the rest of the holiday. Overall a great holiday. Shame about the poor snow which is a risk in a low lying area of Austria. The hotel was great, the rooms really big and comfortable and the sauna, spa, swimming pool a real asset and lovely at the end of the day. Be prepared for some regimentation at meal times; just ever so slightly disconcerting as a single traveller to be allocated a table on day 1 and told that's where you are sitting, and that's who you are sitting with, for the entire holiday. Our fifth Headwater holiday, his was a terrific trip. We were blessed with excellent weather but even without this the Xander Hotel was brilliant, excellent food, very good service and facilities including a really nice pool, use it in the morning or late afternoon and you could well have it to yourself. The other major success of this holiday is the resident rep Steve Barrington, he did everything he could to make sure we got the most out of our skiing. As first timers to the sport he gave confidence and led us through all the basic techniques extremely well ensuring we had maximum time out on the snow. His enthusiasm was great and he went out of his way to fix any issues, e.g. getting a leaking ski boot replaced. We'll be back next year so long as Steve's there to lead the group. We thoroughly enjoyed our 1st (and not to be last) Nordic skiing holiday. Hotel was ideally situated, in a stunning location. It was quiet and comfortable. Steve and his wife Christine, were excellent hosts. Nothing was too much trouble, and their local knowledge was exemplary. Steve was a patient tutor and had a great sense of humour. Skiing excellent (not very busy even though it was 1/2 term) and scenery beautiful. We only wish we could have stayed a bit longer! Our 4th cross-country skiing trip with Headwater and second destination allowing us to compare between Austria and Norway. Clearly we like cross-country skiing or this would not be our 4th trip, and are happy using Headwater and we would still do so. The guides (Robert - Norway, Stephen - Austria) are excellent and make the whole experience fun with their teaching and humour. As they know each other we encouraged a bit of friendly rivalry. Order, impeccable extensive tracks, graded blue, red & black, both classic and skating, at time 3 lanes in both directions and with busy periods of the day before people disappear into the numerous atmospheric cafes for apple-strudel and hot drinks � this is Austria. Norway on the other hand offers a less formal experience and on some remote tracks � seeing few people and more opportunity to go off-piste to catch a glimpse of the reindeer. Packed lunch without returning to the hotel allows for more adventure. In the UK a similar comparison might be between the Lake District and Wester Ross in the Highlands of Scotland. Both holidays have been a real great experience and we have every expectation of repeating them again in the future. This was our first experience of cross country skiing and for myself skiing of any sort! Our guide Steve came highly recommended and without doubt proved to be an excellent guide and instructor - first class tuition with an abundance of patience! Location for cross country skiing was very good. Steve was a very good teacher and very patient and encouraging and eventually managed to get me to snow plough! I have gone from someone who had a bad experience alpine skiing and never wanting to go near snow again, to someone who can't wait to go cross country skiing again - I would recommend it to everyone! Afternoon Tea at the hotel was a well deserved treat. We have done this holiday several years in succession and it is always a fantastic experience. Steve and Christine are outstanding representatives. They have the unique ability to make everyone's holiday the best it can be regardless of differences in skiing/walking ability.Nothing is ever too much trouble and Steve always comes up with great suggestions for the day, even when the weather changes unexpectedly. We would definitely consider doing this holiday again. Good leaders and a very good site. The cross country skiing and walking (I only wanted fairly gentle walking) were superb. Good hotel too. The Skiing at Leutasch is good, with some easy skiing on the meadows of the valley floor and more ups and downs and some challenges on the hillsides. The tracks are all well prepared, both for classic and skating. Steve B. is a very good guide and teacher with a very good knowledge of the area and soon picked up what the group were capable of, giving challenges to some of the more experienced skiieers and keeping it easier for the beginners. The Hotel Sport Xander is excellent with very good food and an excellent Sauna/Steam room/pool area. The accomodation is listed as 'half board', but with Ausrian 'afternoon tea' available from 2 - 4pm this is really full board. Having just returned from a second trip to Leutasch, next year we might do some trips independant of the main group on advice from Steve. Skiing on the valley meadows can be a bit flat and boring sometimes. Very good hotel. Great location. Steve excellent guide. Our third time on this particular holiday. As ever, Steve Barrington was an excellent guide and companion on our daily skiing outings, and the location of the hotel and the quality of the skiing remain first class. However, after two very pleasant stays at Hotel Xander, it was disappointing to find that their previously high standards seemed to have slipped. Staff numbers at the hotel seemed insufficient during our stay to ensure that the level of service (friendliness, supply and quality of food, crockery, glassware, cutlery etc) remained consistent and the overall standard generally fell short of that expected of a four star hotel - in particular, some of the crockery and glassware were chipped, cracked and dirty and on one evening at dinner we waited nearly half an hour between finishing one course and being served the next. This maybe a temporary issue - we certainly hope so as we are returning again in two weeks time! You can be confident that our pricing includes all the standard requirements of your holiday and many additional extras. Always ensure that you are comparing like for like when booking your holiday. Find out about The Headwater Price Promise to ensure you're getting the very best value for money. For further details, or to check availability, speak to our sales team on 1-800-267-3347 or complete our holiday enquiry form (we'll contact you at a time that's most convenient for you). To enquire about this holiday, or for further information, call our sales team on 1-800-267-3347 or complete our holiday enquiry form. We do not currently have departure dates and prices available on-line. The season may have ended for this tour, or we are still in the process of adding these details to our website. Please contact us for further details. Please contact us for child prices. Cross-country skiing Managed by Headwater rep.
Due to the tailor-made nature of our holidays, we need a little more information in order for us to check availability for Cross-country skiing at Leutasch and Seefeld. Simply complete the form below and a member of our sales team will contact you (when it's most convenient for you) to provide availability information, travel options and an accurate price. Of course there's no obligation, but if you do wish to proceed with a booking they will be on-hand to assist you throughout the process. Alternatively, you can call our sales team on 1-800-267-3347 to discuss your requirements in more detail. Postcode • Find my address »Enter your postcode and click the 'Find my address' button to search for your address. Alternatively, please enter your full address below. If you would like to subscribe to our weekly e-newsletter please tick this box. Include travel in the quote No Yes We can often obtain preferential rates with our travel partners. When should we contact you ASAP --- Today 5pm - 7:30pm ---Tomorrow 9am - 1pm Tomorrow 1pm - 5pm Tomorrow 5pm - 6:30pm ---Saturday 9am - 1pm Saturday 1pm - 3:30pm ---Monday 9am - 1pm Monday 1pm - 5pm Monday 5pm - 7:30pm ---Tuesday 9am - 1pm Tuesday 1pm - 5pm Tuesday 5pm - 7:30pm ---Please reply by email We can call you when it's most convenient for you, or contact you by email if you'd prefer. During busy periods we cannot always guarantee a specific call time but we promise to try our very best. Let us know any queries you might have about departure dates, similar holidays or other questions. If you’d like to travel by an alternative method, i.e. Ferry / Eurotunnel etc. please give details here so we can advise you on appropriate options. Promotion code If you have a promotion code please enter it here. We've been creating high-quality relaxed activity holidays since 1985 and our wealth of experience means we're able to build the perfect tailor-made tour for you. Our 'Gold Trusted' rating on Feefo, the independent review site, underlines our exceptional levels of customer service, and our ATOL bonding and ABTA membership guarantees your holiday is safe with us.